Allow us to Cater your Luncheon, Meeting, Snack Bar, or Get Together. 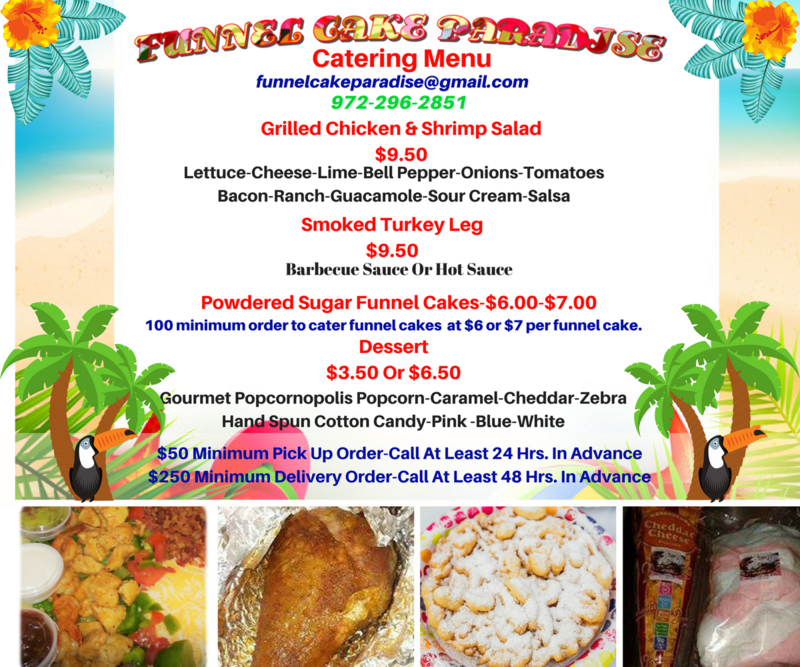 Our Salads and Turkey Legs are Delicious. Our Gourmet Popcorn & Cotton Candy are second to none! 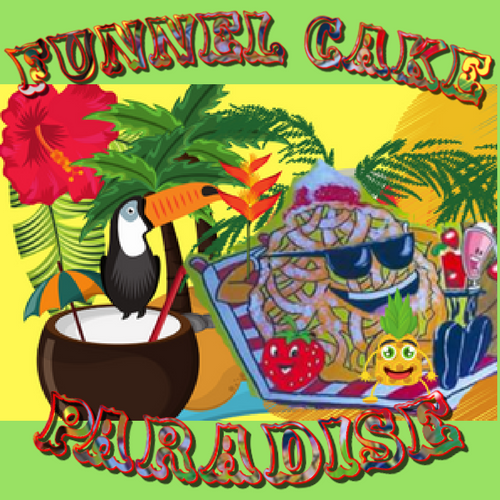 And Of Course Our Funnel Cakes Are "The Best In The World"! Call or email us for details.